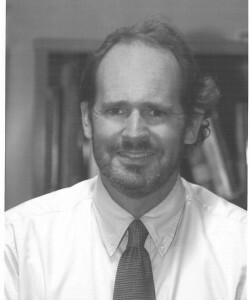 John W. Heffernan was named the Director of Speak Truth To Power at Robert F. Kennedy Human Rights in October 2009. Heffernan brings over twenty years of experience in development, human rights, humanitarian relief and post-conflict reconstruction projects in the United States, Africa, South America, Asia and Europe. Before coming to the RFK Center, Heffernan was the Director of the Genocide Prevention Initiative at the United States Holocaust Memorial Museum where he supervised advocacy efforts aimed at responding to genocide today which included: the opening of a major Museum exhibit, From Memory to Action; the development and implementation of the Museum’s Genocide Prevention Mapping Initiative in partnership with Google Earth, Crisis in Darfur and World is Witness; and the Genocide Prevention Task Force, co-chaired by former Secretary of State Madeleine Albright and former Secretary of Defense William Cohen. Previously, he served as the Chief of Party for the National Democratic Institute for International Affairs in Guyana, South America. In 1995, Heffernan helped establish, and run as Executive Director, the Coalition for International Justice, a Washington-based non-governmental organization created to support the work of the international war crimes tribunals for Rwanda and the former Yugoslavia. As Country Representative for the former Yugoslavia, he managed a humanitarian relief program for the International Rescue Committee (IRC) and from 1990 to 1993 he managed IRC’s refugee resettlement program in Khartoum, Sudan. Prior to working overseas, Heffernan served as the Vice President of the Business Council for the United Nations in New York City. Heffernan has written opinion articles for the New York Times, Washington Post, International Herald-Tribune, San Francisco Chronicle, San Diego Union-Tribune and other publications. Heffernan is a graduate of Columbia University’s School of International and Public Affairs and a former Coro Fellow. He lives in Washington, DC with his wife and three daughters.